Ahoy there! 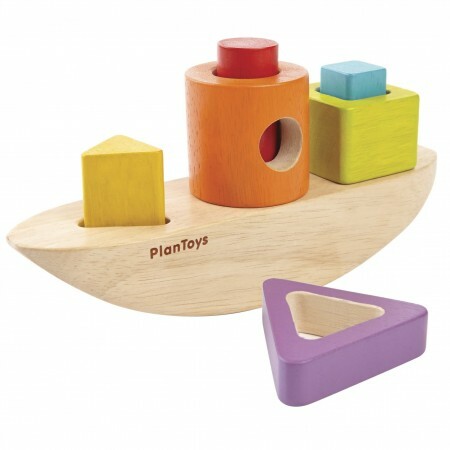 This cute little boat toy has three shaped masts and comes with three brightly coloured shapes - a cube, prism and cylinder, but which one will go where Learning how to stack the different shapes will help toddlers to develop their co-ordination and motor skills, and this toy is a fun tool for learning colours and shapes too. 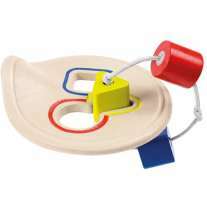 This is a fantastic eco toy and will look great in any playroom. 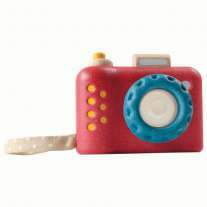 It measures 4 x 5 x 18.6 cm.